Crunchyroll - Failed Tanuki and Half-Baked Tengu: Identity and Community in "The Eccentric Family"
Failed Tanuki and Half-Baked Tengu: Identity and Community in "The Eccentric Family"
Right from its opening lines, The Eccentric Family establishes Kyoto as a city inhabited by three groups—tanuki, tengu, and humans—with clearly defined traits and domains. Through first-person narration and character dialog, we're given a general idea of how each group thinks, feels, and acts. The series then proceeds to spend two seasons quietly but systematically tearing those assumptions apart. As the story progresses, it challenges its characters' strict ideas about identity by depicting a variety of individuals who either can't or won't adhere to the group they belong to, blurring the boundaries both within and between the three spheres so that it becomes less and less clear what it means to be “a tanuki” or “a tengu” or “a human” at all. 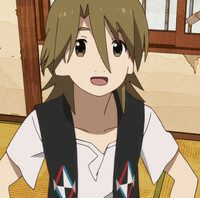 Through its colorful world and unique individuals, The Eccentric Family asks us what makes us who we say we are—and wonders how we'd find that answer in the first place. 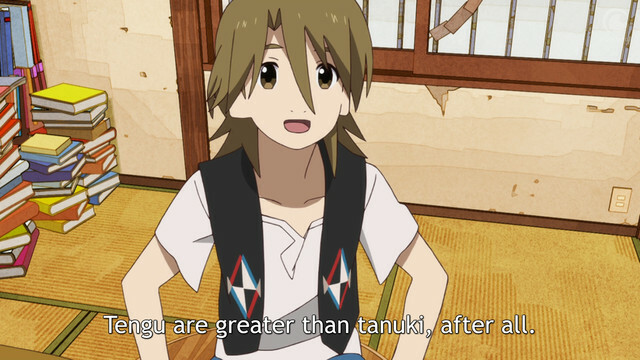 Before we can get into how the series handles individual and group identity, it's worth taking some time to establish how its characters (particularly our narrator, Yasaburo) define tanuki, tengu, and humans. Over the course of the series, tanuki are described as “irredeemable fools,” “peace-loving,” and loyal; “soft and fluffy” tricksters whom Yasaburo believes need do nothing but “lead an interesting life.” In the first season, Shimogamo Souichiro is often described as the tanuki ideal, and the four qualities he split between his sons—his sense of responsibility, easygoing personality, idiocy, and innocence—give us the best idea of how tanuki society as a whole sees itself. Tengu are the most rigidly defined, thanks to Akadama's own rigid sense of self. “To be a tengu is to fly through the sky at will,” he tells us twice in the very first episode. Over the course of the series, we're also told that tengu are ferociously proud, demanding respect simply for existing. According to Yasaburo, “tengu” and “pride” are all but interchangeable. 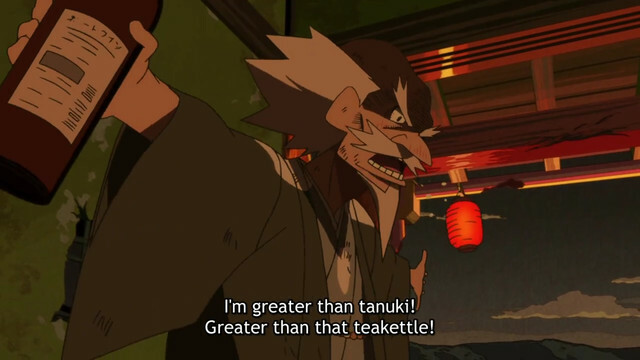 There's also a rigid power structure between tanuki and tengu, something that becomes especially clear in the second season when Yasaburo (tongue firmly in his cheek, I'd argue) keeps reminding the Nidaime and Benten that tanuki are meant to “work hard” and “respect tengu.” In short, tengu have the raw power to declare themselves the ruling class, and tanuki society has by and large accepted this as truth. By contrast, the concept of “what it means to be a human” is never explicitly addressed. Instead, it's implied through how the tanuki talk about humans and how our handful of human characters carry themselves, particularly in the early episodes. In general, humans are defined by their need to consume—to take and eat what they want without a thought for others. They're considered fickle, self-centered, and possessive, “more treacherous and nasty than even tengu or kitsune.” It's a harsh assessment but an unsurprising one, given that our main characters are all tanuki who live in constant fear of the humans' hot pot. 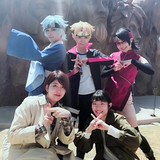 This is how our cast views Kyoto's three groups (cultures? classes? species? 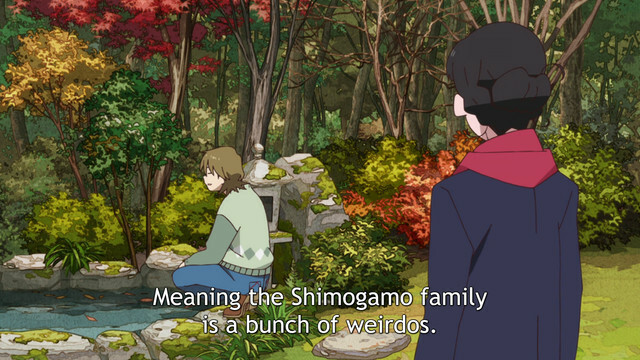 The Eccentric Family avoids a strict one-to-one real-world metaphor, so I'm hesitant to use one either), as well as how they define or judge people within those groups. These are the expectations and pressures put on an individual who identifies as a tanuki or tengu or human, and the walls that almost everyone pushes against. How each character identifies strongly influences their behavior, as they seek to live up to the idea(l)s about what their group is “supposed” to be—or, more often than not, seek to reconcile group expectations with personal reality. The rift between personal identity and personal behavior plagues the Shimogamo brothers through much of the first season as well. 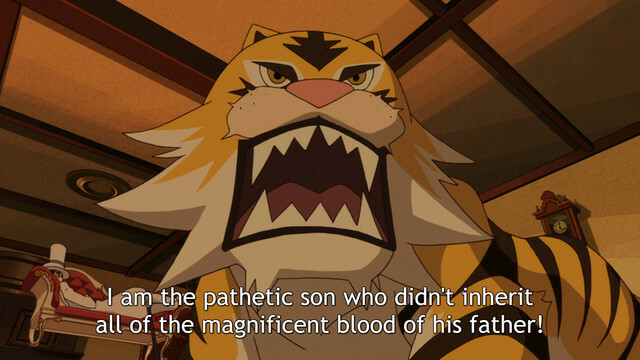 Ridiculed by the rest of the Kyoto tanuki as “idiots who failed to inherit their magnificent father's blood,” there's immense pressure on all of them to live up to the Tanuki Ideal (as embodied by their dad). 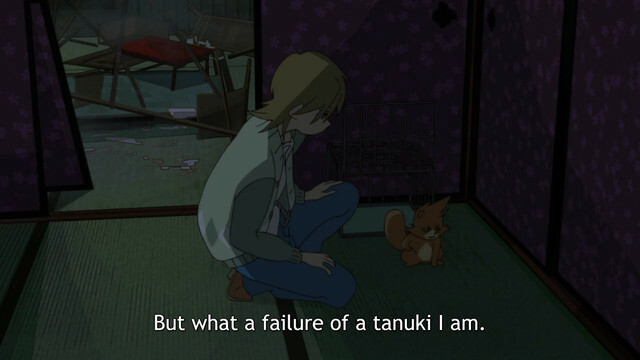 None of them can, and those supposed shortcomings—and the thought that they've somehow “failed” at being tanuki because they don't perfectly match society's definition of what tanuki are—affects them all in different ways. Eldest brother Yaichiro spends most of the series a high-strung, anxious mess, desperate to preserve the family name and earn the respect of tanuki society. Protagonist Yasaburo rebels, declaring that “tanuki societal norms can eat dirt” and largely avoiding the tanuki outside of his immediate family. Little Yashiro frets about his poor transformation skills and hides behind his brothers. 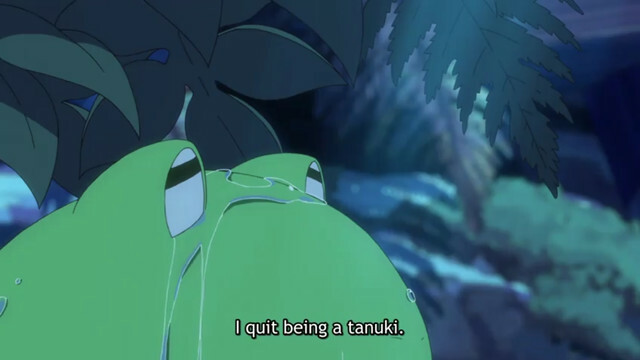 And poor Yajiro, in love with his brother's fiancee and blaming himself for his father's death, declares himself “an absolute failure of a tanuki” and decides to “lock everything up and become a frog in a well,” giving up his tanuki identity altogether. The Shimogamo brothers don't perfectly meet the standards of “what it means to be a tanuki,” and so they wonder if they're allowed to claim that identity at all—or, if they do claim it, if they're forced to consider themselves “failures” or “losers” because they can't live up to an idealized stereotype. Like Akadama, reeling from the loss of what supposedly makes him a tengu, the Shimogamo brothers find that the people they are don't match society's image of tanuki, leading to identity crises of their own. Happily, over the course of the series, the brothers come to care less about some grand tanuki ideal and learn to accept their personal identities and strengths, thanks in large part to the love and support of their family. Yashiro still struggles to hold his transformation, but he gains confidence through his ability to produce electricity and his passion for inventions. Yajiro slowly regains his transformation abilities and returns to tanuki society, eventually identifying as “a tanuki, not a frog” again. Yaichiro finally stops judging himself based on the standards of a bunch of relative strangers (who won't lift a finger to help his captured brother). He's able to act without reservation for once, taking the initiative to save Yasaburo from the Friday Club. As for Yasaburo, his arc is... complicated, largely because he bounces so merrily between the tanuki, tengu, and human spheres. While his brothers are trying to figure out if they can be a part of tanuki society even if they don't perfectly match the ideal image of a tanuki, Yasaburo is pushing back against the rules and boundaries themselves. Like the human/tengu Benten, Yasaburo mingles freely with the three spheres, and (also like Benten?) he isn't fully satisfied with the role bestowed upon him at birth as a “mere” tanuki (although he does refer to himself as exactly that three times during the second season, so his perspective may be changing). Unwilling to just “crawl the earth,” he spends a lot of his time befriending, meddling with, and fooling tengu and humans alike. Unlike Benten, though, Yasaburo has a fairly firm sense of self—he sees himself as a tanuki, is (mostly) aware of both his strengths and limitations, and does his best to work within those boundaries even as he pushes against the rules of tanuki society at large. Sometimes this leads to quietly sad moments of understanding, like when he realizes he's not the one Benten needs when she's at her lowest point. 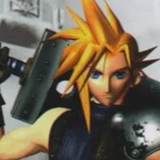 But just as often it leads to triumph, like when he uses his wits and transformation skills to blend in and eventually find an escape route from Hell. Yasaburo can thumb his nose at tanuki societal norms and still be a tanuki. He can also accept certain aspects of being a tanuki—like one day getting married—without giving up his freedom or his “interesting life.” He can be himself and a part of the Shimogamo tanuki clan. Akadama and the Shimogamo brothers all struggle with their personal identity because of group expectations and standards, fighting a constant battle between “who I am,” “who I want to be,” and “who I'm expected to be.” With the support and love of the family (both biological and adopted) around them, they all slowly come to accept the people they are and become less concerned with how their social groups might view them. 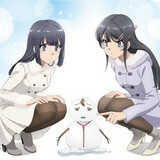 By the end of the second season they're all in more secure, confident places, and are happier for it. 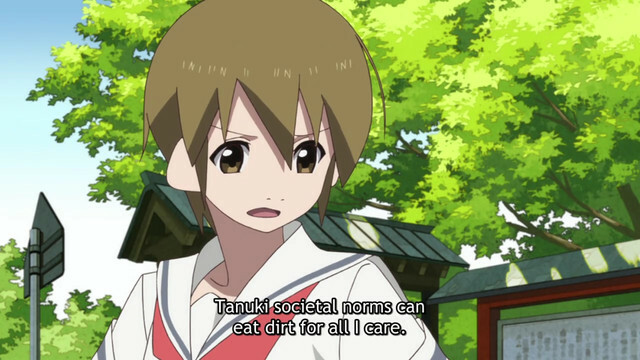 But The Eccentric Family isn't content to simply point out the (somewhat obvious) fact that rigid group standards can hurt individuals. Instead, it wants to go a step further and suggest those definitions are meaningless in the first place. In the upcoming second half of our two-part trip through this fantastical Kyoto, we'll talk about the characters who defy their groups or deny them outright—murderous tanuki, altruistic humans, whimsical half-tengu and proud not-tengu—and how our cast causes the boundaries between the three spheres blur, mix, and sometimes collapse altogether. Dee is a nerd of all trades and a master of one. She has bachelor’s degrees in English and East Asian studies and an MFA in Creative Writing. To pay the bills, she works as a technical writer. To not pay the bills, she devours novels and comics, watches far too much anime, and cheers very loudly for the Kansas Jayhawks. 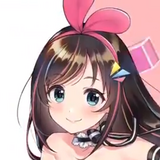 You can hang out with her at The Josei Next Door, a friendly neighborhood anime blog for long-time fans and newbies alike, as well as on Tumblr and Twitter. 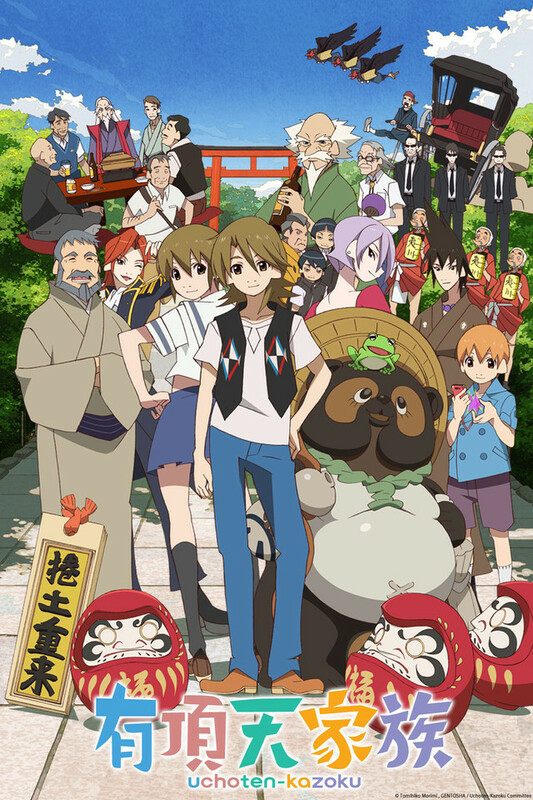 The Eccentric Family is available now for viewing on Crunchyroll!